The UK Space Agency is carrying out a consultation on its draft National Strategy for Space Environments and Human Spaceflight – see here for the related documents. The Strategy sets out goals in science and technology, covering research disciplines including astrobiology, astrochemistry and space medicine. The draft also considers how to utilise commercial space operators, bilateral projects and ESA, and the way in which the relationship between the Agency and research councils should operate. 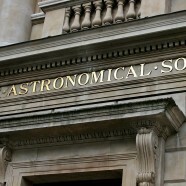 For background, you may recall that in 2005 and 2006 the Royal Astronomical Society specifically considered human space exploration in some detail, culminating in a vote (albeit on a low turnout of around 200 Fellows) where 96% were in favour of the UK participating in these programmes. Since then we have contributed to the parliamentary inquiry that recommended the establishment of the UK Space Agency to replace BNSC and later inquiries that considered issues such as the relationship between ESA and the EU. So that the Society can assemble a consultation response that reflects in particular the views of active UK researchers in astronomy and geophysics, would you mind circulating this around your department or research group and asking colleagues to send any thoughts they may have to me at the email address below? It would be helpful if responses could reach me by 26 September to allow me time to write the final document for approval by our governing Council. Please send all thoughts on this topic to Dr Massey at the email address rm@ras.org.uk. Photograph (CC-BY-SA-4.0) by Mike Peel.